Last week I shared with you a simple recipe for making your own homemade kefir which I have been doing for many years. Plain kefir can get rather boring however, and over time I have utilized many different ingredients to help make it more flavorful. Although it is sometimes nice to keep the ingredients simple, I equally enjoy making it a bit more exciting. This Sweet Potato Kefir recipe is hands-down my most favorite of the bunch and despite the fact that I have indulged many times over, I still manage to gulp it down quicker than I’d like to admit! Although a blended fruit kefir is a great option in theory, fruit is not recommended to eat with kefir since mixing dairy with fruit is one of the main improper food combinations and will undoubtably wreak havoc on your digestion, especially when indulged on regularly. With this in mind I was on a mission to find a replacement that was equally as sweet and delicious, and I must say that this recipe takes the cake! 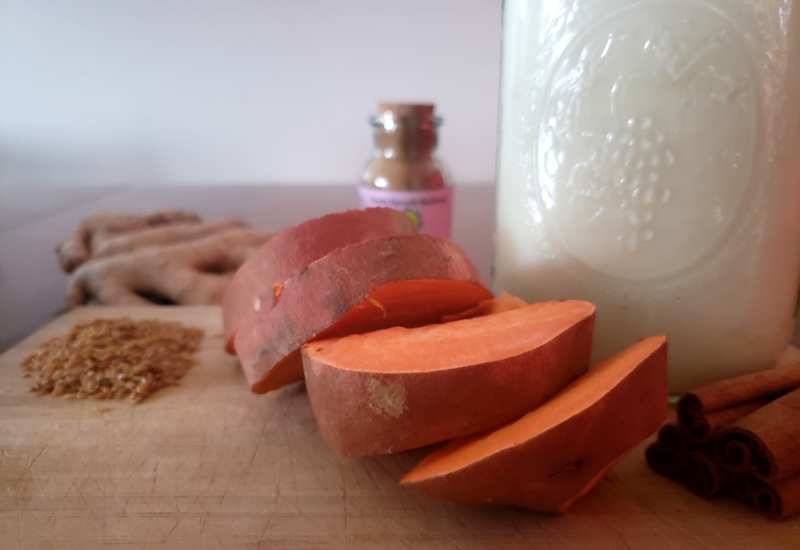 This Sweet Potato Kefir recipe is not only delicious, but will give you a powerful boost of energizing, Ojas-increasing nutrients such as vitamins A, C and B’s, antioxidants, probiotics, fiber, calcium, protein and omega 3’s. 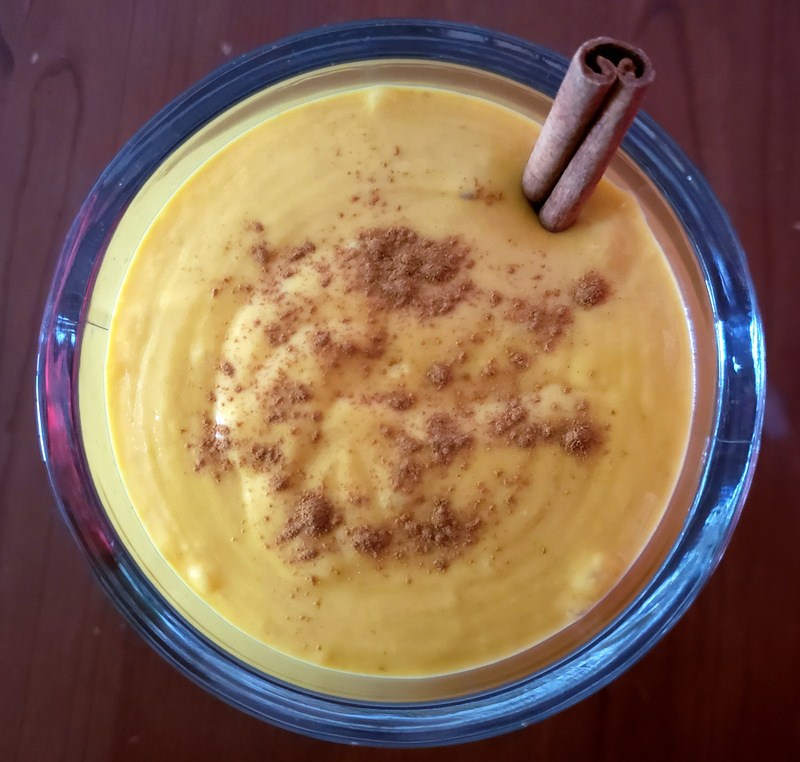 The cinnamon and ginger add some additional flavor, giving it a bit of a spicy kick and reducing the heaviness of the other ingredients. 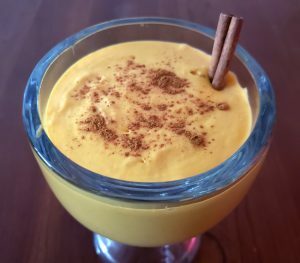 A small amount of honey is included to increase the natural sweetness of the sweet potato and kefir, making it seem more of a dessert than the nourishing healthy beverage that it is. *See doshic variations at the bottom of the page to make this dish more Kapha-friendly! *If a high speed commercial blender is being used (i.e. Vitamix or Blendtec), the flax seed can remain whole. Otherwise they should be ground-up using a spice grinder directly before adding them to the blender. **The cinnamon can be replaced with 1 tsp of plain cinnamon and 1 tsp of our Ayurvedic Breakfast Spices for more flavor and more health benefits! 1. Chop up the sweet potato into small cubes (the smaller, the quicker they will steam). Keep the skins on to preserve all of the nutrients. 2. In a medium sauce pan add an inch or two of water and then place the steam basket in the pan. Add the sweet potatoes into the steam basket and cover with a lid. 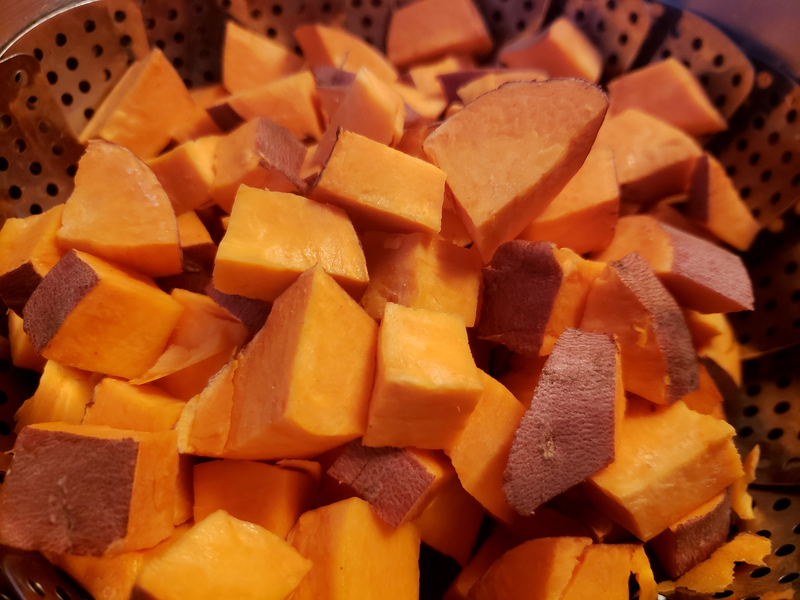 Cook over medium heat for 15-20 minutes or until the sweet potato is completely soft and steamed all the way through. 3. 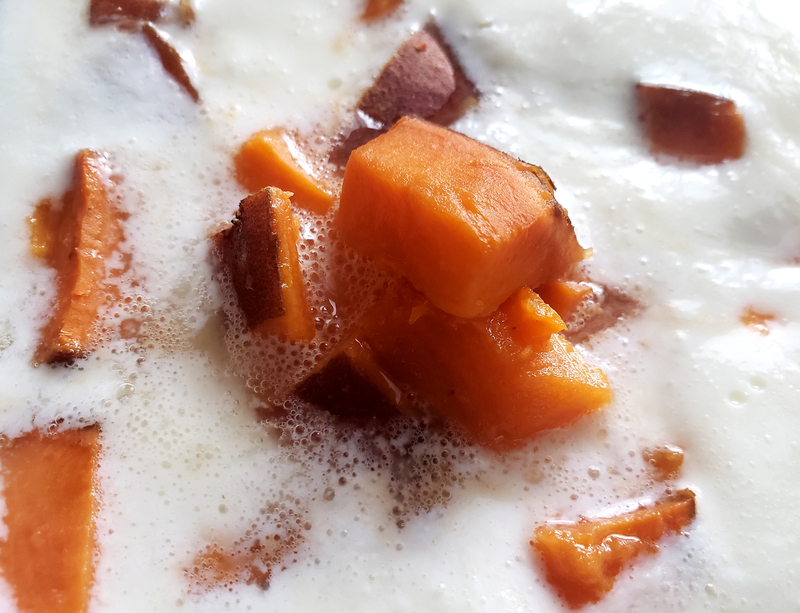 Allow a bit of time for the sweet potato to cool before adding them to the blender, as the heat may kill the vital probiotics in the kefir. 1. Place the kefir, steamed sweet potato (after cooling), freshly ground flax seed, honey (optional) and spices into a high speed blender. 2. Blend these ingredients on high for 2-3 minutes, depending on the strength of the blender. Ideally you should have a finished result of a smooth and creamy beverage. If chunks of sweet potato remain, keep blending! 3. Enjoy a cup after meals as a healthy desert or between meals as an energizing snack! 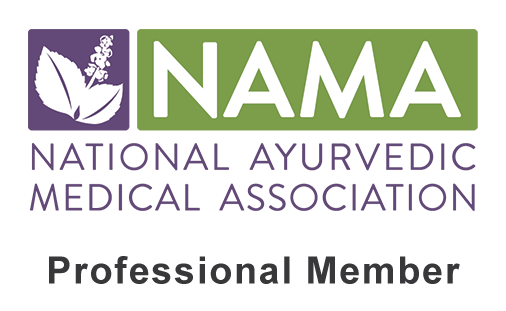 Vata types should drink this at room temperature or slightly warmer to avoid increasing the coldness of Vata. 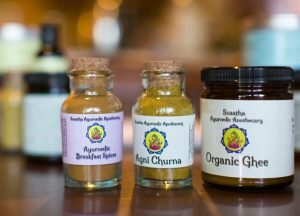 Other warming, grounding spices can be added as well such as extra cinnamon, fresh ginger, Ayurvedic Breakfast Spices or nutmeg. Since flax seeds can be overly drying for Vata, 1-2 Tbsp should be added rather than the 2-4 Tbsp recommended. This recipe is overall very sweet and cooling for Pitta types. However the cinnamon may be needed to be used sparingly (1/2-1 tsp) and grated fresh ginger should be used over the dry powder. Cardamom powder (1/4 tsp) can be added for a cooling spice if desired. The honey should be replaced with either maple syrup or 2 soaked and pitted dates. This recipe is overall Kapha-increasing due to the cool, heavy and sticky nature of the ingredients. 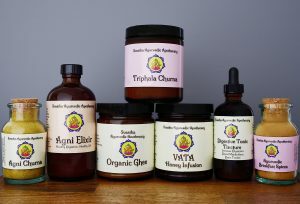 To make this a bit more Kapha-friendly, one can use a non-dairy homemade Kefir alternative such as almond milk or hemp milk kefir. They can further reduce the amount of kefir to 2 cups and replace the remaining amount with 1 cup of water. The spices can be doubled and more digestive spices can be added such as Ayurvedic Breakfast Spices (1/2 tsp) or turmeric (1/8 tsp) and clove powder (pinch) if desired.